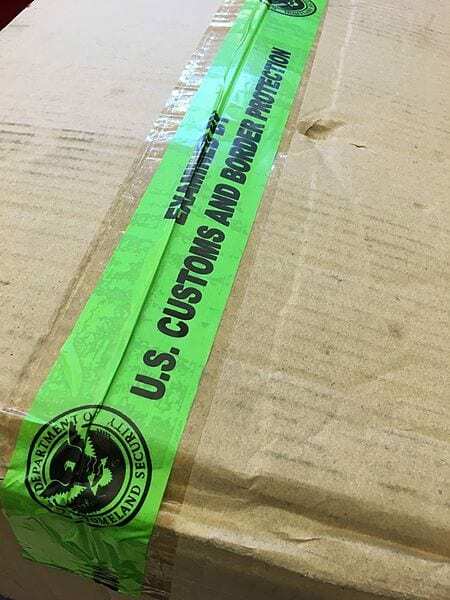 Late last week, nearly 1 million pounds of pork was seized by U.S. Customs and Border Protection at the Newark Port or Entry in an effort to stem the spread of African swine fever. So far, the deadly, contagious disease has “killed more than one million pigs in China.” Fortunately, the disease has yet to show up in the U.S. Many in the country are concerned about a potential outbreak in the U.S., including Customs and Border Protection. The agency warns that an outbreak in the U.S. would cause serious damage to the country’s pork industry. When commenting on the matter, Troy Miller, the director of Customs and Border Protection Field Operations said, “agriculture specialists made a critical interception of these prohibited animal products, and stopped them from entering the U.S. before they could potentially cause grave damage.” Miller added that the total damage to the pork industry could total close to $10 billion within a single year. The U.N. Food and Agriculture Organization noted the highly contagious disease spreads quickly and has already made its way to Vietnam, “where 79 outbreaks have been confirmed.” What about humans? Can the disease infect us? The short answer is no. So far, the contagious disease has shown no signs of being able to infect people. However, there are concerns that other types of livestock may be infected. At the moment, inspectors and agricultural specialists are still sifting through the boxes. Eventually, the Department of Agriculture plans to burn the illegal pork. For now, the investigation is ongoing. Unfortunately, the World Organization for Animal Health claims there is no approved vaccine for African swine fever. Once pigs are infected, mortality rates can be as high as 100%, depending on the severity of the infection.